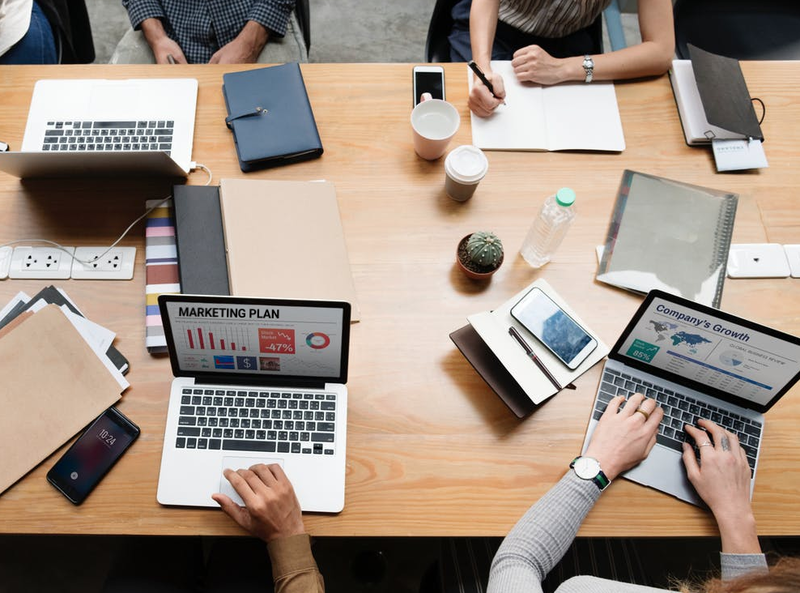 Your marketing team probably spends a lot of time and effort creating a steady flow of fresh material for your websites, blogs, social media accounts and more. But filling your brand’s content dance card can sometimes be an arduous task. Here are some savvy tips for repurposing your brand’s content to keep your key messaging in front of your target audience — while best harnessing proven content that you already know works. One of the easiest ways to get extra mileage from your content is simply to promote and re-promote it at various times throughout the year. Create a blog post and make sure to promote it with several posts on each of your brand-controlled social media accounts within a few days of posting. Then, throughout the year, return to your most important and popular content by re-promoting it across your social media accounts. You can even re-promote old blog posts from previous years, simply by giving them a quick update (making sure to label the blog post as “updated” in the latest year, so you get credit for your work). Also note the recent updates atop your social media posts, so that you draw in followers who may have already read the original blog post. If you have a consumer-facing blog post that appeals to your website visitors, it most surely would appeal to a broader consumer audience that reads newspapers and newspaper, TV and radio websites. Consider working with a feature story creation and distribution service, such as StatePoint Media, that will work with you to develop a story providing readers with tangible “news they can use” — a format that allows your brand to be positioned as a trusted expert. In the case of StatePoint, our journalistic approach, combined with our content distribution network of more than 15,000 media outlets, allows us to target local media outlets throughout the U.S., positioning your brand as a thought leader in front of a valuable demographic — middle to upper-middle class consumers. Stories that work best follow two simple rules: they have broad appeal and provide readers with information of value. Your best consumer blog posts likely already adhere to both of these golden rules! As the old saying goes, “you have to put the hay out where the goats can get it.” Put a simpler way: go where your audience is. If you have content on your website (or elsewhere) that you really want consumers to see, consider syndicating it through services like Taboola and Outbrain, which often refer to themselves as content discovery services. If you’ve ever read the news online, you’ve probably seen a section at the bottom of stories directing readers to more content they might like, with photos and links to different stories, videos, etc. Such companies as Taboola and Outbrain offer this feature to media sites, where the outlets can promote their own stories and which also come with slots promoting advertisers’ content, directing users to third-party websites. You can pay to have links to your brand’s content featured on these sites where you already know your target audience is gathering. An even better way to go where your target audience already has gathered, is to tap the power of influencer marketing, particularly on social media. Influencer marketing uses key thought leaders to more authentically promote your brand’s message to your larger target market. This is typically done by compensating influencers to post about your brand on their social media accounts so that their followers are driven to visit your content and engage with it. Here at StatePoint, we offer a powerful Content Amplification service that enables clients to boost their consumer content (consumer microsites, blog posts, videos, contests, how-to stories, etc.) to millions of people who follow our network of influencers on Facebook, Twitter and other top social networks. This service combines the viral nature of word-of-mouth marketing with the measurability of online advertising. We target influencers by topic to reach your demographic, with the goal of driving high-quality, measurable web traffic and social engagements (likes, shares, comments, etc.). Just point us to the compelling content you want to promote, and we’ll take it from there! In addition to having social media influencers post about your content on their social media accounts, you can also compensate many influencers to create new content for you that extends your brand messages. You can have them post reviews of your product or service on their blogs, create videos featuring them interacting with your brand’s offerings, or post lifestyle photos on Instagram and/or Pinterest, etc. And, in-turn, they can promote this new content on their social media accounts. Get creative when it comes to repurposing. Have a bunch of great blog posts? Flesh them out a bit. Add charts and other graphics and you can easily turn them into chapters of an eBook that you can then promote on your website and social media accounts to help capture consumer info and expand your customer database. Then you can carve up your eBook into even more blog posts! Just as you can turn your blogs and other content into eBooks, you can easily turn them into a podcast series or a video series. Remember, you are the expert in your field, so gather a couple of your brand’s leaders to discuss key topics that you addressed in your existing content and record these conversations, packaging them into new audio and video content to help fill your content marketing dance card on your website and social media accounts. 8) Have a Sales Presentation? Now You Have Micro-Posts! The same is true with sales presentations. If they are good enough to use in a crucial sales role, with some easy polishing you should be able to turn them into content for your brand’s website and social accounts. Got blogs and the data to support your sales assertions? With some graphical alchemy you can turn this content into infographics. And with some eye-catching stock photos you can create listicles — short articles in list form that contain paragraphs of streamlined text interspersed with photos that illustrate each point. You don’t even need to be a graphical wizard to create infographics, as there are several services online that empower brands to turn their key data into charts, graphs and illustrative graphics. And to keep things churning in front of your target customers, consider distributing this content to media outlets through a service such as StatePoint. If you’ve invested time and money creating attention-grabbing infographics, you can easily and quickly secure national editorial placement for them on thousands of media outlets — and even have them shared by our network of social media influencers. 10) Finally: Get Influencers to Amplify the Repurposed Content! Do it all over again! Once you’ve taken your initial content and repurposed it into eBooks, podcasts, videos, infographics, listicles, original influencer-created content and more, make sure no one misses it by having this new content amplified on social media by influencers as part of your influencer marketing strategy. It’s all about keeping your content mix fresh and frequent — to help your brand stay top-of-mind and top-of-search engine results.